Let us contrast reality to the fantasy that Big Oil projects for us on our television screens. I have long despised the character of the lady in pantsuits, played by Brooke Alexander, who assures us, in the Energy Tomorrow ads, that we really, really need Big Oil’s products. Yeah, like we need a hole in the head. I think Ms. Alexander, who used to play a con artist on As the World Turns, should be required, while speaking, to be smeared with black oil– sort of like Shakira in “La Tortura”– instead of showing off that crisp and supercilious outfit. I am fit to be tied that President Obama seems to have fallen under that baleful character’s spell, and is planning to vastly expand the scope of offshore drilling— setting us up for more environmental catastrophes, both from spills and again when the stuff is burned and enters the atmosphere as carbon. 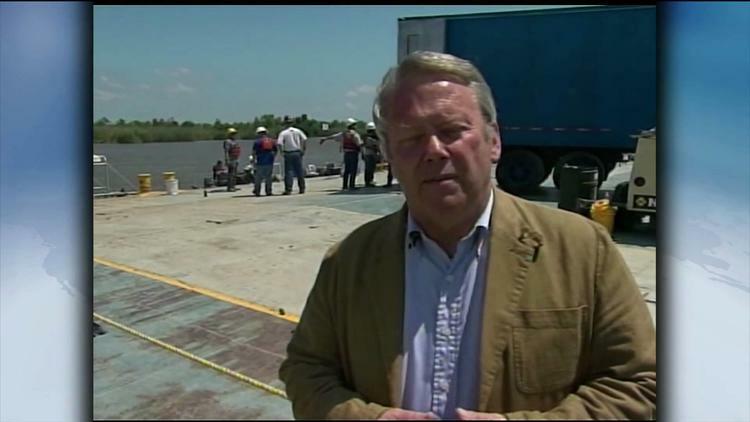 So here is the coverage of the massive BP oil spill in the Gulf of Mexico by PBS’s Lehrer Newshour, noting that as much as 5,000 barrels a day could be spilled onto the shoreline— killing fish, wildlife, beaches, tourism, and adding insult to injury for many coast families who have still not recovered from Hurricane Katrina. BP’s first-quarter profits this year, by the way, rose to $6.1 billion from $2.6 billion in 2009! 1. By saying we need energy from “all” sources, it implies that hydrocarbons must be part of the mix and are as desirable as alternative green energy. But this is a lie, at least in the long term. 2. It ignores the enormous damage to the environment caused by pumping more carbon dioxide, a greenhouse gas, into the atmosphere. 5. It ignores the environmental damage to beaches and wildlife and tourism of the inevitable oil spills. BP, by the way, is British Petroleum, a descendant of the Anglo-Iranian Oil Company. The Iranian parliament asked for a better deal from the AIOC in the late 1940s and early 1950s (they wanted a 50/50 cut of the profits, which was what ARAMCO offered Saudi Arabia). The AIOC absolutely refused. In response, the Iranian parliament nationalized the AIOC holdings in 1951. It was in order to restore Western Big Oil to its Iranian holdings that the CIA overthrew the democratically elected government of Iran in 1953, putting the shah back on the throne as a megalomaniacal capitalist dictator and puppet of Washington. The enraged Iranian public overthrew the shah in 1978-79, establishing the Islamic Republic that has been a thorn in Washington’s side ever since. So, BP’s earlier arrogance helped produce our current crisis with Iran, just as it’s current incompetence has produced the massive Delaware-sized oil slick now devouring Louisiana.